Dubai Investments, a leading, diversified investments company listed on the Dubai Financial Market, has announced that the new campus of its wholly-owned subsidiary University of Balamand Dubai (UOBD) is fully complete and ready to welcome students starting from next month. 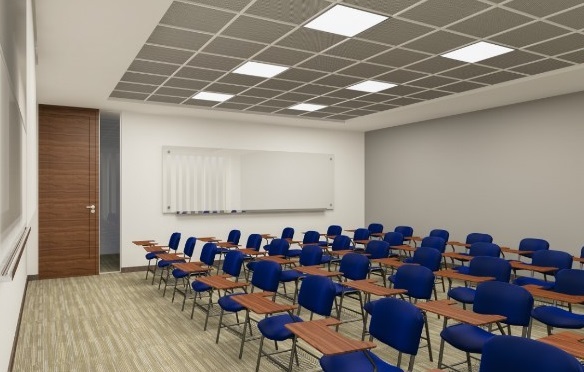 The UOBD campus, spread across 8,000 sq m at Dubai Investments Park (DIP), offers the most-modern classrooms, three laboratories for science subjects and one for engineering besides faculty and administrative offices. Dr Walid Moubayed, CEO and vice-chancellor, said: "UOBD is set to open its doors to world-class education right here in the UAE. Through its high-quality educational programmes and proven expertise over the past three decades, the university aims to provide a modern and holistic educational environment for students in the UAE and region." The UOBD is the first venture for University of Balamand (UOB) outside of Lebanon, where it operates five campuses.